Laval residents will soon be eligible for $ 2,000 financial incentive from the City for the purchase of a 100% electric car, a first for a Canadian municipality. 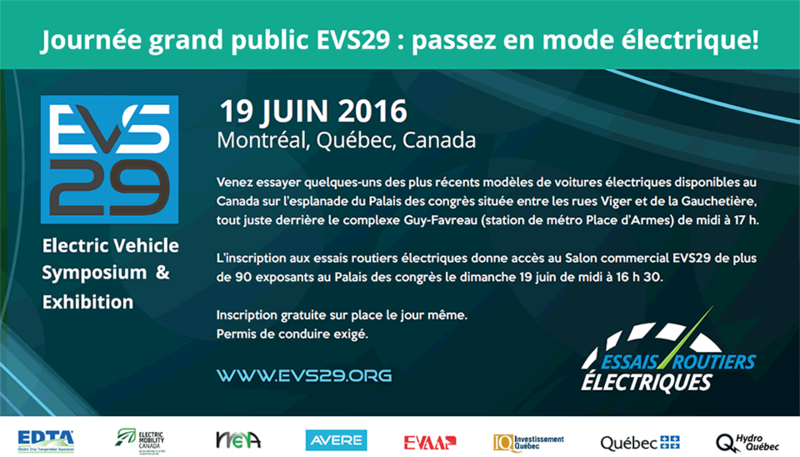 This was announced by the Mayor of Laval, Marc Demers, at the opening the Montreal Electric Vehicle Show. “This subsidy will enhance the one already granted by the Government of Quebec as part of its “Roulez électrique” program. In total, considering the $ 8,000 government grant, the financial incentive received by our citizens for the purchase of a 100% electric car can reach $ 10,000. This is a concrete example of action taken by our administration to do its part in the fight against climate change by reducing GHGs on its territory, “says Marc Demers. Another subsidies was approved on the morning of April 20, 2018 at the executive committee, which is a financial incentive for the purchase of an electric bike. Although this type of allocation is widespread in Europe, it will again be a unique initiative for a Canadian municipality.